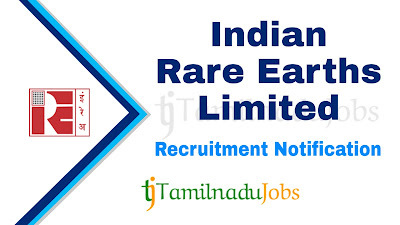 IREL Recruitment 2019: Good news for the Aspirants looking for Central Government jobs, now Indian Rare Earths Limited (IREL) published an official notification for 20 post to fill the Management Trainees, work in any Unit / Area / Place situated in India / abroad under the control of Indian Rare Earths Limited (IREL) or in any Joint Venture / Associate / Subsidiary company of Indian Rare Earths Limited (IREL). Candidates must go through the official IREL recruitment notification thoroughly before apply for Management Trainees post. IREL Management Trainees job application is collected through Online mode only. 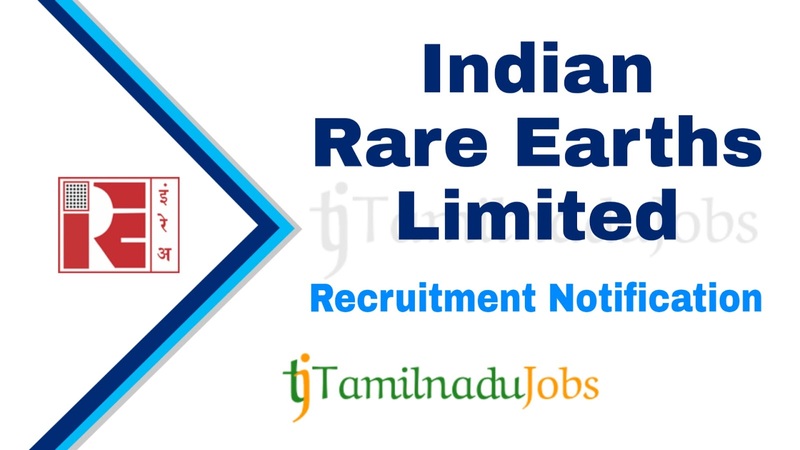 In the recent Recruitment Notification, the following vacancy details given by the Indian Rare Earths Limited (IREL) and aspirants should go through the vacancy details and eligibility details for more detail in IREL notification link given below before applying. Aspirants meet the education qualification of Indian Rare Earths Limited (IREL) only apply for the Management Trainees job. IREL notification 2019, education qualification are given below. Mechanical B.E or B.Tech in Mechanical Engineering or Mechanical and Industrial Engineering or Mechanical and Production Engineering or Production Engineering or Production Engineering and Management or Production and Industrial Engineering from recognized or approved Indian University or Institution with minimum 60 % aggregate marks of all semesters or years. 5-year Integrated Master degree in Mechanical Engineering or Mechanical and Industrial Engineering or Mechanical and Production Engineering or Production Engineering or Production Engineering and Management or Production and Industrial Engineering from recognized or approved Indian University or Institution with minimum 60% aggregate marks of all semesters or years. Mining B.E or B.Tech in Mining Engineering from recognized or approved Indian University or Institution with minimum 60 % aggregate marks of all semesters or years. 5-year Integrated Master degree in Mining Engineering from recognized or approved Indian University or Institution with minimum 60% aggregate marks of all semesters or years. Electrical B.E or B.Tech in Electrical Engineering or Electrical Machine, Power systems and High Voltage Engineering or Electrical Instrumentation and Control Engineering or Electrical and Instrumentation Engineering or Electrical and Power Engineering or Electrical and Electronics Engineering from recognized or approved Indian University or Institution with minimum 60 % aggregate marks of all semesters or years. 5-year Integrated Master degree in Electrical Engineering or Electrical Machine, Power systems and High Voltage Engineering or Electrical Instrumentation and Control Engineering or Electrical and Instrumentation Engineering or Electrical and Power Engineering or Electrical and Electronics Engineering from recognized or approved Indian University or Institution with minimum 60% aggregate marks of all semesters or years. Chemical B.E or B.Tech in Chemical Engineering from recognized or approved Indian University or Institution with minimum 60 % aggregate marks of all semesters or years. 5-year Integrated Master degree in Chemical Engineering from recognized or approved Indian University or Institution with minimum 60% aggregate marks of all semesters or years. Mineral B.E or B.Tech in Mineral Engineering from recognized or approved Indian University or Institution with minimum 60 % aggregate marks of all semesters or years. 5-year Integrated Master degree in Mineral Engineering from recognized or approved Indian University or Institution with minimum 60% aggregate marks of all semesters or years. B.com (Three years regular full-time degree) and MBA (Finance) (Two years regular full-time degree) with minimum 60 % marks. Aspirants who want to apply for IREL Management Trainees 2019, must attain the following age limits given by Indian Rare Earths Limited (IREL). The application fees for Indian Rare Earths Limited (IREL) Management Trainees 2019 differ according to various categories. The application fees details for IREL Management Trainees given below. Indian Rare Earths Limited (IREL) is announced the recruitment for the Management Trainees to full fill their 20 posts. Aspirants have to pass the following selection process given by Indian Rare Earths Limited (IREL) to get Management Trainees job. For more detail and correct information check in the official notification of IREL. How to Apply IREL Management Trainees 2019? Step 3: Fill the details required by IREL in the form. Step 5: Before submitting the application for Management Trainees, check the details are correct, then press submit and pay the application fee.